You’ve made it. You reached 10,000 feet. Now, how about a good movie? For some, accessing the Alaska Beyond Entertainment library of 500+ movies and TV shows on a smartphone, tablet or laptop is second nature. But for a lot of us, technology isn’t always our friend. You can use the information below to guide your next Alaska Airlines flight. A good place to start is to make sure you’re on a flight with access to our entertainment library. The majority of our fleet allows you to access Alaska Beyond Entertainment on your own device. The rest of this guide is for you. On Airbus planes with seatback screens, you can only access our library using the built-in screen, not your own device. Our Q400 planes aren’t equipped with Alaska Beyond™ Entertainment. For these flights, consider downloading a few of your favorite shows on your own device ahead of time. 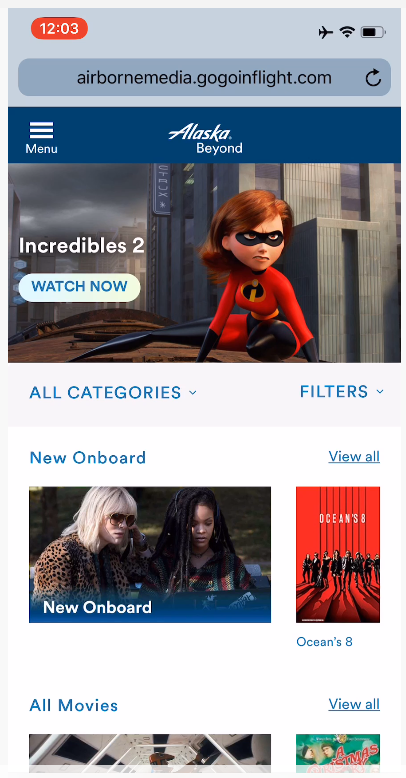 If you plan to watch movies or TV shows on your mobile device, you may not be able to unless you download the Gogo Entertainment app before you’re in the air. You can download it at loadplayer.com. You’ll use the app to securely watch videos and will be directed to it automatically. Follow the steps below to start watching. For laptop users, be sure you have the latest version of Adobe Flash installed. You can download the latest version of Adobe at Loadplayer.com. If you forget to download the app or install Adobe Flash in advance, you can try to inflight but this will only work on flights with satellite Wi-Fi or little Wi-Fi usage. Planning ahead is your best bet! 2. 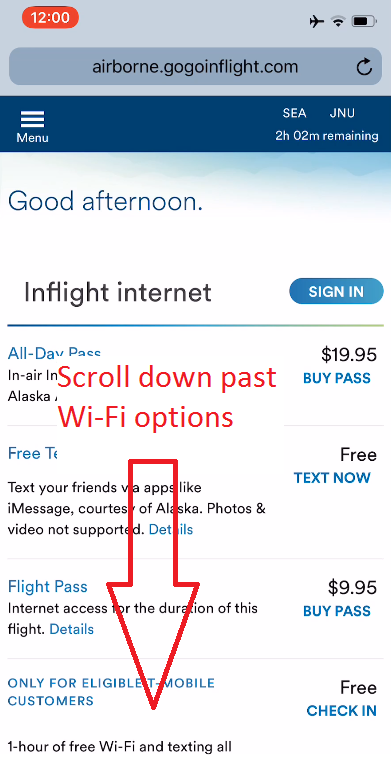 Once connected, open your browser and go to AlaskaWiFi.com or Airborne.Gogoinflight.com. A pop-up may appear once you connect. Be sure to follow the on-screen prompts, then open your browser. 3. Don’t feel the need to purchase Wi-Fi. While we’ll present you with paid internet options at AlaskaWiFi.com, you don’t need to buy internet access to watch movies. 6. Confirm you have the Gogo Entertainment app. 7. 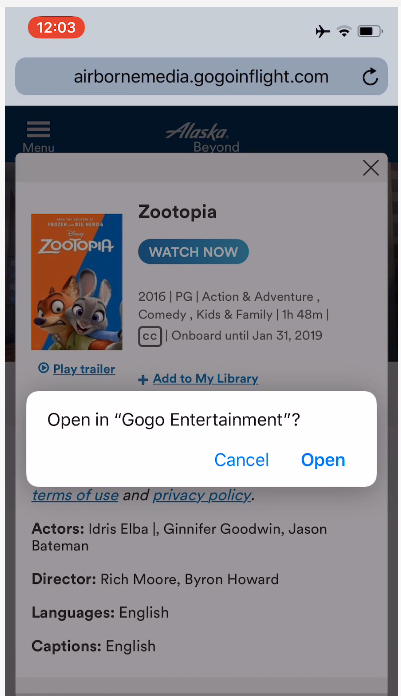 Click “watch now” again and “open” when asked if you want to open the Gogo Entertainment app. On flights with internet access, our entertainment system partner, Gogo, offers live help services. Just click “Live help” from the main menu. They’re available 24/7/365. If you’re on a flight outside our internet coverage area, there are FAQs available to you using the “Help” button, which is accessed the same way as Live Help. Wait, I thought you said these movies were free? They are! While we’ll present you with paid internet options first, you don’t need to buy internet access to watch movies. When you first connect, just scroll down to the “Free movies & TV shows” banner or select “TV & movies” from the main menu. What if my flight has a spotty internet connection? Am I out of luck? The great news is that our entertainment system works on flights without an internet connection. 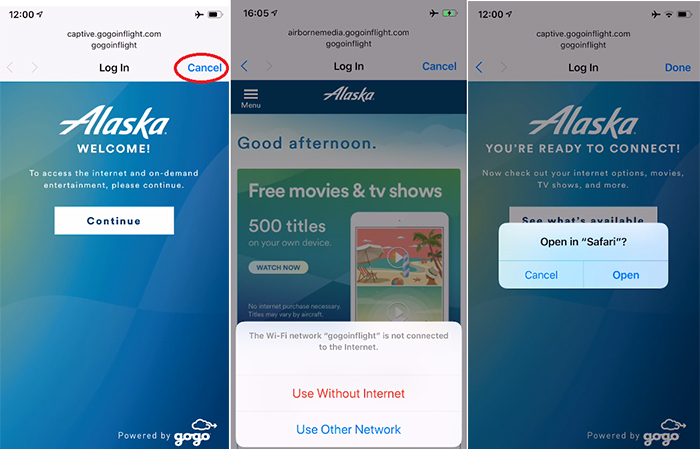 As you leave the Wi-Fi coverage area on flights to Hawaii, Mexico, Costa Rica or parts of Alaska, you may not be able to access the system as your aircraft resets from a “connected” state to an “offline” state. If you’re already watching a video, this will be seamless. If you’re in the middle of choosing a title, things might get a little wonky for a few minutes. I picked a title, but I can’t play it. What do I do? This can occur on iOS devices when you’re within a web environment called a “captive portal.” If you see the word “cancel” in the top-right portion of your screen, you’re in this environment. Go to your web browser and visit AlaskaWiFi.com to access our library. Follow the steps above if you have questions from here. My browser is asking me for permission to use Adobe. What should I do? 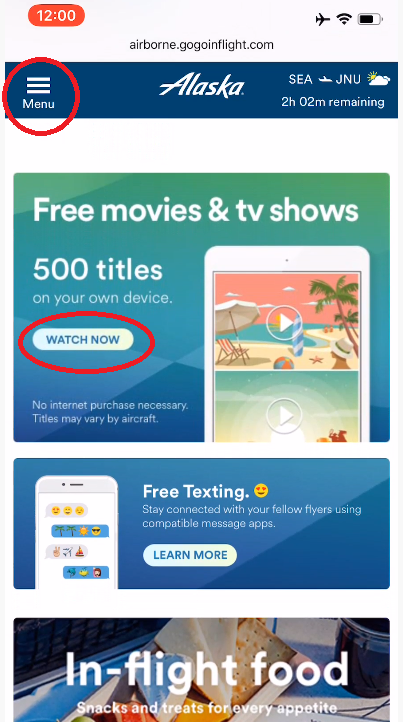 Just say “allow” and you’ll be on your way to connecting to the most movies in the sky! What’s wrong with Privacy Mode on my iPhone or iPad? We offer closed captioning on many titles. We always request the captioned version of movies and TV shows whenever the Hollywood studio or distributor has an airline version available with them. Unfortunately, the industry hasn’t done this for every title yet. To make it easy for you to find captioned titles, we have a filter created for this person. Once you’ve selected a title, select the “CC” or caption bubble icon to turn on captions during playback. More questions? Click here for more information. 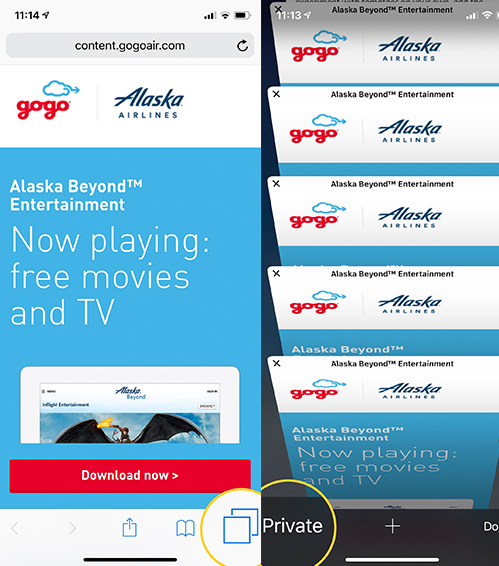 17 comments on "How to access Alaska Airlines movies and TV shows on your own device"
I absolutely love the gogo inflight entertainment app & use it all the time to watch movies. I read the “how to” instructions and found this information very helpful – thanks for providing it. The only thing I would ask is for more movie selections – you have great action packed ones, but I’d particularly like to see more options in the current movies that would make me laugh. the Action packed ones always make me have to use the facilities more often (my brain gets so involved – its as if I were in it – weird I know). I absolutely LOVE Alaska Airlines!!!!!!!! It would be nice to have a printable version of these steps to take on the plane with me…I never have been able to get this to work, nor have my seatmates been able to help. Is this available for Kindles? I realize that getting movies to download as quickly as they are used to and possible lack of smoothness of operation is frustrating for some. But for those of us who are not as technologically expert as they are, and who have a difficult time trying to figure out what we need to do to access the service itself (personally, I usually end up saying, “forget it, I’ll just read. Though I would love to watch a movie.”) this explanation is wonderful. Thank you Alaska Airlines! I love my gogo inflight entertainment app & use it all the time to watch movies but I still found this information very helpful!! Helps me understand what potential problems might be when I’m having trouble connecting. 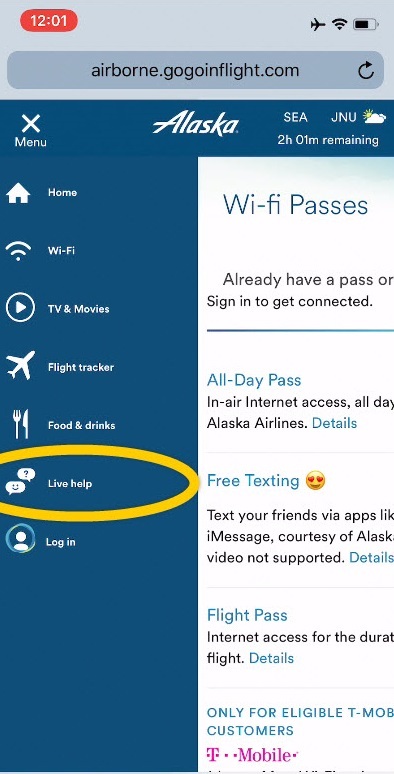 I do have one question: How do we know when we are on one of your planes with the New Satellite Alaska_WiFi system enabling us to watch movies from the gate? 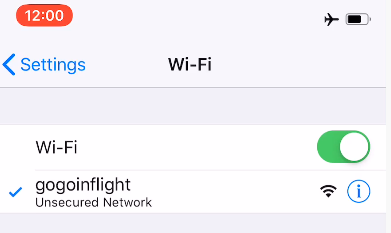 Our aircraft with satellite Wi-Fi can be identified by the placard in the entryway and the “Alaska_WiFi” network name being available shortly after gate departure (within a minute or two). So yes, you’ll be able to watch movies throughout the entire duration of the flight. It’s nice when it works. Certainly a large selection. But I often have to try multiple times to get a movie to play on my iPad, with frequent restarts of Safari. Slightly better performance with Android, but still annoying. Fortunately, once the movie starts the playback is reliable. I bought a nice computer for long flights, I was very disappointed I couldn’t download the app and watch a movie on the long flight, and the flight attendant totally ignored me and my request for help. Sorry to hear that. Hopefully you found this article helpful, Joey. Laptop users just need to have Adobe Flash installed. I have never experienced this issue. Perhaps it’s your device?